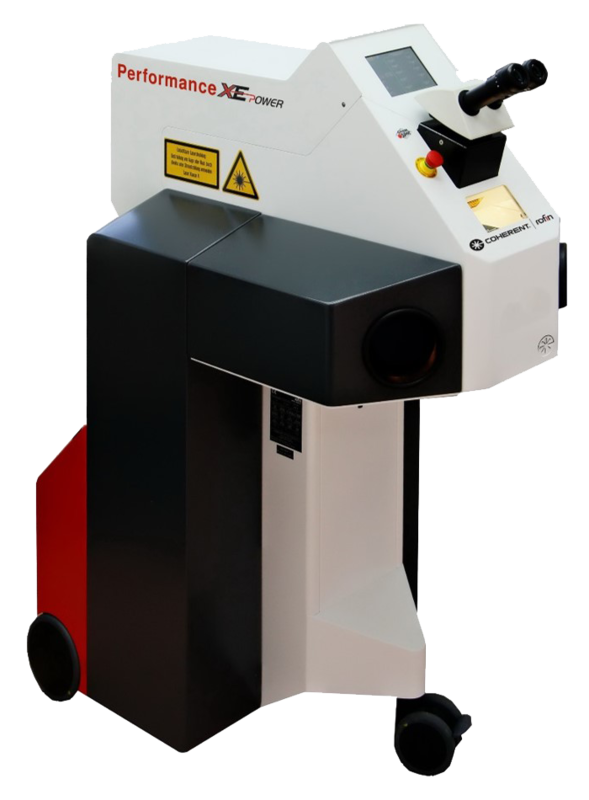 The laser unit is designed specifically for welding metals and metal alloys such as steel, gold, platinum, titanium, aluminium and copper. This welding can be done either with or without filler wire. The compact housing contains the laser source, power supply, cooling system, viewing optics and working chamber. A two-stage foot switch activates the firing of the laser and the optional flow of shielding gas used for Titanium or Palladium. Connections for the optional shield gas is provided as standard and the integrated protection window allows for a comfortable view into the working chamber in addition to the normal viewing optics. The system corresponds to laser class IV. A laser classification certificate will be provided that states, that the laser beam cannot escape the work chamber during appropriate operation. The operators´ eyes are protected at all times when using the binocular microscope.